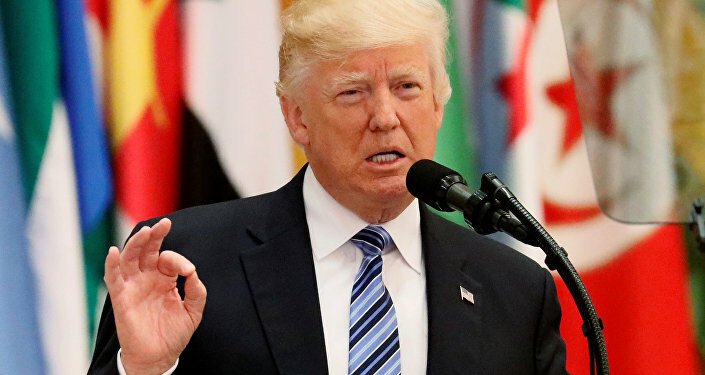 Fifty percent of US voters are in favor of President Donald Trump's executive order on immigration that temporarily bars nationals of six Muslim-majority countries from entering the United States, a new Rasmussen Reports revealed on Tuesday. WASHINGTON (Sputnik) — According to poll, half of US voters say they support Trump's travel ban, while 41 percent are opposed to it. The poll results show support for the travel ban has gone slightly down from late January when the order was first introduced. Earlier on Thursday, Trump once again reiterated the need of a temporary travel ban. On March 6, Trump introduced a revised version of the temporary travel ban concerning nationals from Iran, Libya, Somalia, Sudan, Syria and Yemen. Unlike his first executive order signed on January 27, citizens of Iraq were not included in the second one.